Why is it that on the coldest day, you never feel quite as crappy as you do on the hottest day? It’s been brutally hot here all week, but I don’t want to complain too much; I know I’m not the only one suffering. I have not worn fragrance all week. I have some wonderful natural fragrance samples from another talented Canadian perfumer, but I just couldn’t do them justice in this weather. Even with the A/C cranking, it’s just too brutal to be honest; heh! I have been contemplating a small 1/2 oz. bottle of Philosophy’s Eternal Grace that I bought on my last visit to Sephora. I am such an admirer of the Philosophy brand, but every fragrance they’ve introduced since Amazing Grace has been a shameless knockoff of something else: Falling in Love is Trish McEvoy #9, Inner Grace is Lovely Sarah Jessica Parker, Baby Grace was identical to a scent Clean used to make, but no longer does, and now Eternal Grace is a spot-on duplicate of L’ Eau d’ Issey Miyake. I mean, SPOT ON. Put the two of them next to each other and blindfold yourself and you’ll swear you’re smelling the exact same scent. I don’t want this to turn into a brand-bashing festival, but I don’t understand how such an innovative skin care brand can shamelessly sell fragrances that are exact duplicates of scents that already exist. This could quite possibly turn into a “Six Degrees of Kevin Bacon Separation”, but I don’t have the energy to connect all the dots right now. By the way, this goes back to my, “I’ve smelled that somewhere before” lament from a few weeks ago. And it doesn’t just happen in the mainstream; there are some niche scents I’ve stuck my schnozz into over the years that are not what you would call original. This is all starting to remind me of the remake trend currently going on out in Hollywood. Did you guys know there is a new version of “Dallas” premiering in the fall? Anyhoo – it’s just too hot to do much of anything right now, except to say that for $20 Canadian, that tiny bottle of Eternal Grace is doing it’s job; and for about $50 f or a 2 oz. bottle, it saves me a few sheckels than if I were to buy a bottle of L’Eau d’Issey. More money to throw at the electric company. Stay cool and have a great weekend! Feel the same way about Bond! Chelsea Flowers especially reminds me of something from my youth,and it drives me nuts that I can’t remember what it is….Babe? Enjoli? Chloe? ANais Anais? Windsong?? Urrrgghh! I really like it, but it’s an exact copy of something else; something else I could get much cheaper, I bet! I haven’t smelled the newer Bonds yet, so I’ll have to take your word for it. By the way, I used to love Babe – especially the bottle! You brought back every single beloved memory with that Kevin BAcon reference. I loved that rag, faithfully subscribed…and shed bitter tears as I watched it fade to a pale shadow of its former snarky glory…. thanks for the trip down memory lane, Nava! Thanks for these tips–I don’t own any of the copied ones but my budget may be able to handle one of the Philosophy ones. 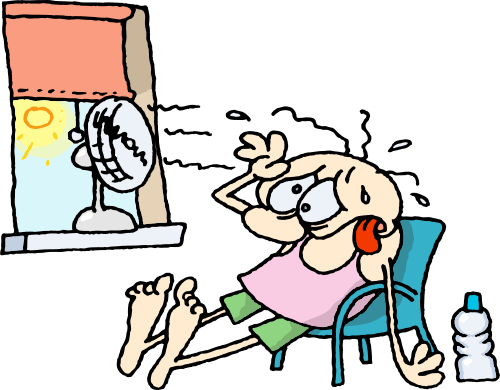 Hot here today–OMG, Stinkin’ Hot. Yes – can you believe it?! I’ve been avoiding fragrance in this heat too. I do really love the scents from my garden when I’m watering though; tomato stems, basil, wet earth and lilies. I’m not a Philosophy fan at all so I’ll leave my comment at that. The day started so promisingly – 82F at fiveam, then a hefty storm blew in….RAIN????? alas, no. But there was a beautiful, stiff breeze – temps dropped to 79 and stayed there for about 3 hours. Heaven. Hi Nava, I hear you on the knock-offs, but as you and someone else said, it is good for the old wallet. Try to stay cool, and have a great weekend, everyone! Thanks Ann – you too! I think I’m probably the only one on the planet who hasn’t ever tried anything from the Philosophy brand – neither its skin care nor fragrances, so I can’t speak to their originality, or lack thereof. I’m much more horrified by the thought of Dallas 2011. I was hoping that you jested with us, as you are wont to do, to the amusement of all. Alas – it is true. I saw photos. Could somebody please send Larry Hagman some eyebrow tweezers? I’ve adored Philosophy since I discovered them back in ’97, I believe it was. I just wish their line wasn’t so damn expensive here in Canada. I don’t joke about “Dallas”; the show was followed with religious devotion in my house. Wherever my mom and dad are now, they are most likely apoplectic at the news of a remake. After abandoning all jewelry (even the wedding ring comes off at 105 degrees) and perfume (at 117, nothing smells good–or stays) I am liking the new Fendi. I’ve tried some of the Philosophies, but they smell pale in a not nice way. I need something that smells good with dust storms. Oh my word, Nava! I’m just amazed you survived. I’ve not been courageous enough to brave Vegas in any weather.